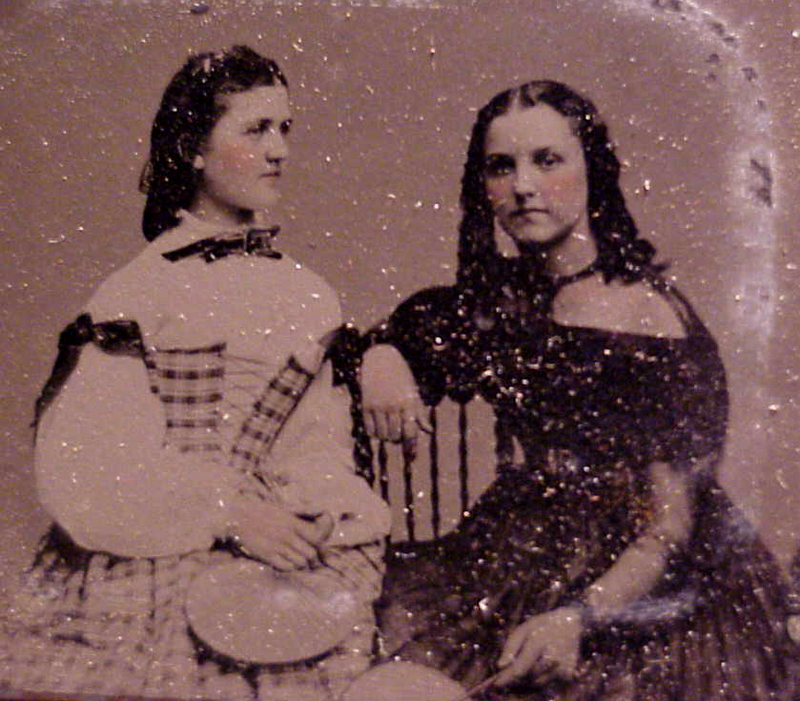 Many folks presume that Civil War era women were all a bit plain or matronly in thick clothing with three kids on their lap. However, like today, women were quite stylish when their upbringing and lifestyles permitted. Some were downright supermodels of their day, and likely turned heads. 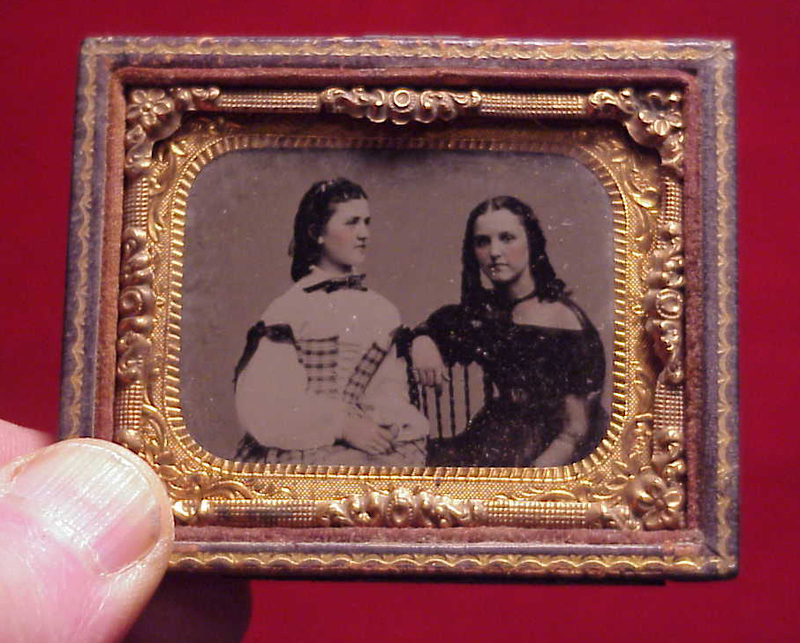 In this tintype, we see two young women who anyone would admire for poise and great looks! Something more back home to fight for than the flag and a farm! No ID is known on the sitters. 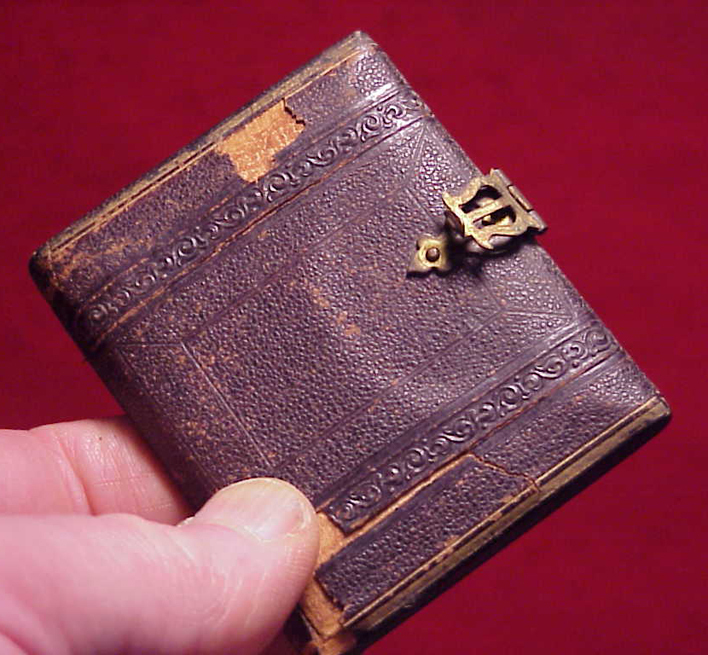 It came in its original glass, brass mats and a half of a leatherette case.